LETA NOLAN Childers will sit down today and write between 30 and 60 pages of her next novel. Her last, The Best Laid Plans - Backfire! was an instant worldwide bestseller, and followed the success of its predecessor, The Best Laid Plans. Despite her international bestselling status, it's unlikely you will have read either. For Leta Nolan Childers publishes her books on the internet. She is one of a growing band of authors, who, tired of rejection letters from conventional publishers, are submitting their manuscripts to e-publishers, and finding a voracious internet readership. Childers' novels, of a genre she describes as "romantic comedy", have sold some 16,000 copies so far; sales have rapidly increased in recent months because of a growing aware-ness of e-books. With diskette copies at between $10 and $6.50 (pounds 7-pounds 4) and downloads at $3.50 (pounds 2) her sales have risen to well over $100,000 in a couple of years. eBook Connections, an industry guide to sales figures, recently named her as the bestselling e-bookwriter of 1999. The Best Laid Plans - Backfire! tops its latest monthly chart. Yet Childers' career was prompted by a stockpile of "glowing rejection letters". Fed up, the 46-year-old former journalist and mother fired off a couple of manuscripts from her home in South Dakota to DiskUspublishing.com after hearing about e-publishing. Thus followed what Childers describes as "a match made in cyberheaven". It has since published some 11 of her novels, including Cupid's Revenge, Mystery Loves Company, Cat Callahan: Private Eye, Demons of Desire and The Best of Presents. She has also published five children's e-books. Her inspiration, she says, is P G Wodehouse and the "drawing room comedies" of old Hollywood - a genre that traditional publishers consider unfashionable. "This was the kind of stuff I wanted to read. It was big in movies but you try finding something in words," she says. "Because e-publishers are more willing to take risks I've developed a whole romantic comedy genre of my own." And e-book readers evidently like it. According to eBook connections, romance counts for 57 per cent of published titles. Childers declines to say how much she's earned, other than to point out that e-publishing royalty rates are generally 30 to 50 per cent - significantly better than the traditional publishing average of 10 per cent. She also points out that in the world of e-publishing there are "no such things as foreign rights - you automatically go up internationally". She has fans in India and Portugal and has been translated into Chinese. E-publishing covers a variety of models. Some e-publishing sites act as virtual brokers, placing manuscripts on their website for a fee, and offering royalties per number of viewers. Others offer books chapter by chapter, in a similar fashion to the recent Stephen King e- bestseller Riding the Bullet. Many do not edit manuscripts, basically offering a cheaper version of vanity publishing. Childers acknowledges this has led to a wide variety in literary quality. She says she picked DiskUs because it was based on a traditional model - and did edit her manuscripts. (It also offers classics, such as H G Wells and G K Chesterton). "Books that are bound electronically are really no different from printed ones," she says. But because of this variety in quality, e-publishing is still widely considered a poor relation of traditional print publishing. Adam Rothberg of Simon and Schuster recently described it as "www.slushpile.com". Other publishers advocate caution. "In America e- books have already been published successfully in print and I'm sure that the UK will follow. We always look at all sorts of media for good writers and increasingly we are looking at the net," says Anya Waddington, a senior editor at Penguin. "But one has to be aware that there will be authors who failed through traditional routes for good reason." Traditional publishers point out that e-books are neither widely reviewed nor advertised - the usual means by which new books reach audiences. For that reason e-publishing may be best suited to genres such as romance and science fiction, which tend to attract more loyal followings. Waddington says publishers have to consider whether "electronic readers" want different things from readers of print books. But publishers are taking e-books seriously. Nearly all now "monitor" talent online, while Random House recently bought a significant stake in the electronic publishers xlibris.com. Authorlink.com, which posts authors' manuscripts, counts Random House, Penguin, St. Martin's Press, and Simon and Schuster among its visitors. It claims to have sold 60 manuscripts. Meanwhile, industry experts have predicted that by the end of the year there will be more than half a million electronic books. 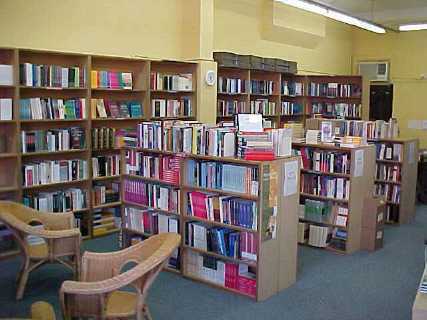 An average bookshop may carry between 50,000 and 70,000 titles. And e-publishing is evolving, fast. Electronic publishers are discovering that just as in the print world, a reader judges a book by its cover - and publishing digital "book covers" to go with their manuscripts. Childers, who designs her own, says when sent out they look a little like a music album. "Covers make a big difference," she says. "I think everything is visual and if you can find an attractive cover that somehow displays what your book is about you have a lot more success than if you have just lines on a page." As the e-book revolution gathers pace, she believes the real winners are the readers. "Never before in history have readers had such an availability of books to them at such reasonable prices." But she acknowledges that, as an author otherwise apparently destined to have manuscripts gathering dust under her bed, she too has benefited from the revolution. Is she pleased to be the first "internet bestseller?" She pauses. "Well, yes and no. I'm very, very grateful for the success that I've managed to achieve but I'm a writer and I want people to have my stories read through whatever medium. "This is simply the means to an end. It doesn't mean that I don't like traditional print publishing. In fact, I'm still hoping to make the transition."